“Part of this education process is more than just the classes, it’s the living on the campus and the friends you’ll make for a lifetime,” said James David Anderson, a former Rocky Mountain College student and professor. Anderson, who often goes by Jim, graduated from RMC with a business degree in 1967. He sat down to discuss his experiences with Rocky and how the institution has changed in the last 51 years. After students began having dinners in the Student Union Building, today known as the Bair Family Student Center and still colloquially called the SUB, Anderson worked as a server. “We used to have, in the Student Union Building, served dinners. I was a waiter one year. Kids would come in, everyone’d sit down, we’d have a prayer, and we’d serve the dinner,” Anderson explained. “I was in Kinney Hall, third floor [freshman year]. My second year I was in Kimball Hall and then I dropped out of school for a year. Myself and three other Rocky students worked that summer and went to Europe. I came back to Rocky, changed majors from education to business, and then graduated in January 1967,” he said. “My senior year I got married. My wife, Linda Lou from Bridger, is also a Rocky grad,” said Anderson. “I’m 75 today. My wife and I are still married. What’s the old saying? ‘Love at first sight is easy to understand, it’s when two people are staring at one another for 52 years that it becomes a miracle,’” Anderson laughed. After graduating, he started at a firm in Billings called Dain, Kalman & Qual Co.
“I was there for about nine months, then I got transferred back to Minneapolis where I spent 32 years,” said Anderson. Over three decades, Anderson worked for three investment firms in a variety of positions spanning research, investment advising, and sales. Anderson retired in 1999 at the age of 56. He returned to Rocky and taught a Principles of Investing course at the college for 11 years. He came full circle and was able to attain a teaching career, like he had initially wanted, after taking a detour and fulfilling a career in investments first. 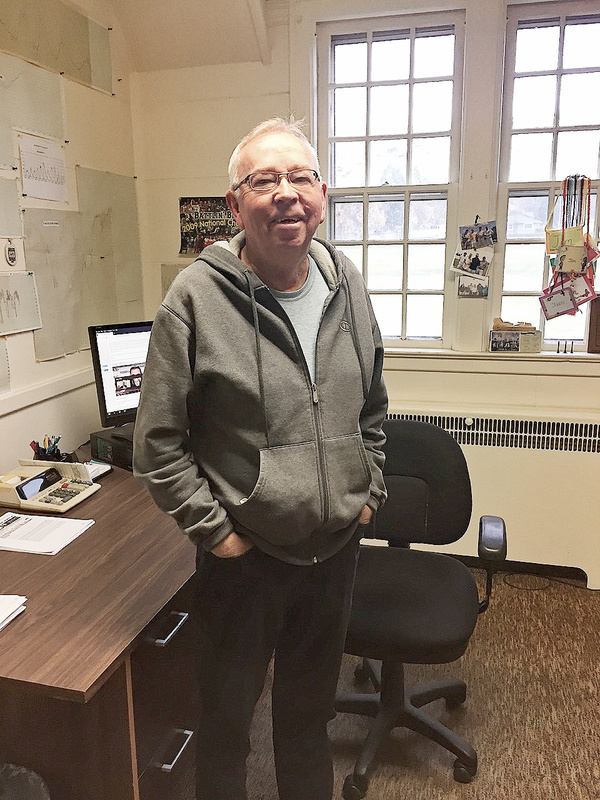 Having been associated with Rocky for so long, Anderson is familiar with many former students and current faculty.